Reduces up to 295.5 damage from each attack against you. Deals 394 Magic damage and forces the opponent's lowest health pet to swap into battle. Strong magic counter not as good as Mech Dragonling but has some different utility compared to something like Emerald Proto-Whelp along with a massive health pool. H/H and Tail Sweep work great and you get Dragonkin passive anyways to push the last little bit of dmg through. I got it today on 25N. My 7th pet in 2 days from Ulduar, ICC and ToC! H/H breed is a beast! This guy is an absolute wall. It can act as a good Dragonkin Anubisath Idol if you want to try something different. 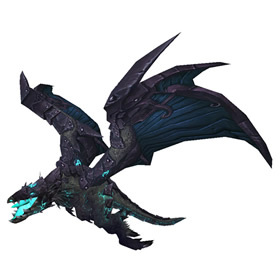 It might not finish PVE fights as fast as an Emerald Proto-Whelp though. The denizens of Ulduar transformed even small whelps into ironclad monstrosities.